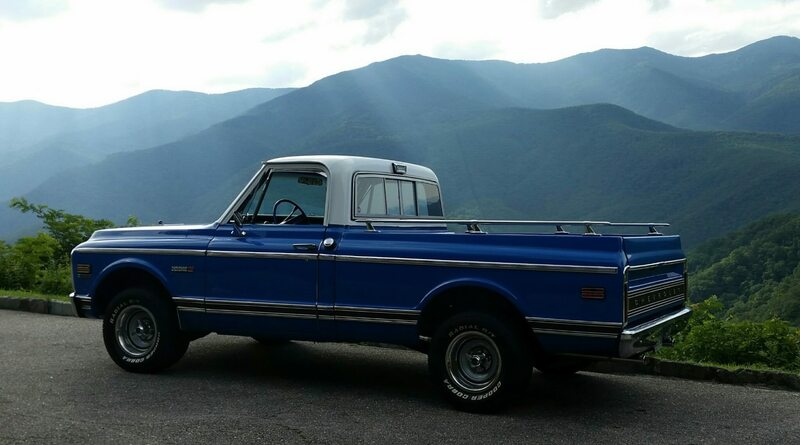 1972 Chevy Cheyenne – Roger M.
Fast forward many years and with the birth of our first child, I found myself making the difficult decision to sell the truck. I needed the money and it wasn’t practical with a new son. It just didn’t have the room and I couldn’t afford buying another vehicle without selling the truck. It was very difficult watching it go down the road on a trailer with someone else driving away. I said then that one day I would have another one. 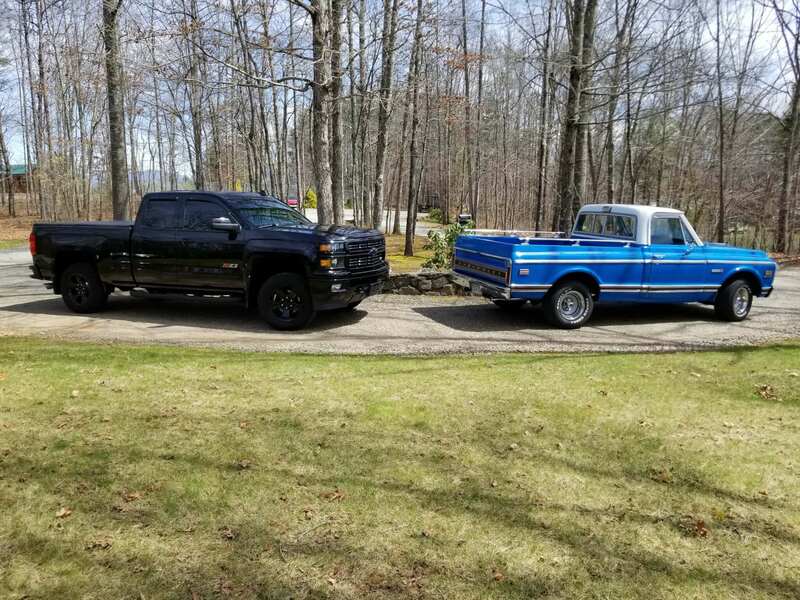 My son is now 32 and I bought this truck 3 years ago after looking, driving and being disappointed with what was for sale for 1 1/2 years. When this truck first hit the internet, I knew I had to go quickly and look at this truck and make the purchase if it was as advertised. It was 5 hours away in another state. The elderly gentleman that owned it said a neighbor was coming that evening to look at the truck and he felt like he would take it. I had called as soon as it hit the web. He assured me he would call back if the man didn’t buy it. I had been down this road before, being the second one in line for a nice truck, and thought I wouldn’t get back good news. Much to my surprise, he called back that evening and said that the man really wanted it but didn’t have the money and didn’t leave a deposit. I gladly made the drive and knew when we opened the garage door that this truck was going home with me. 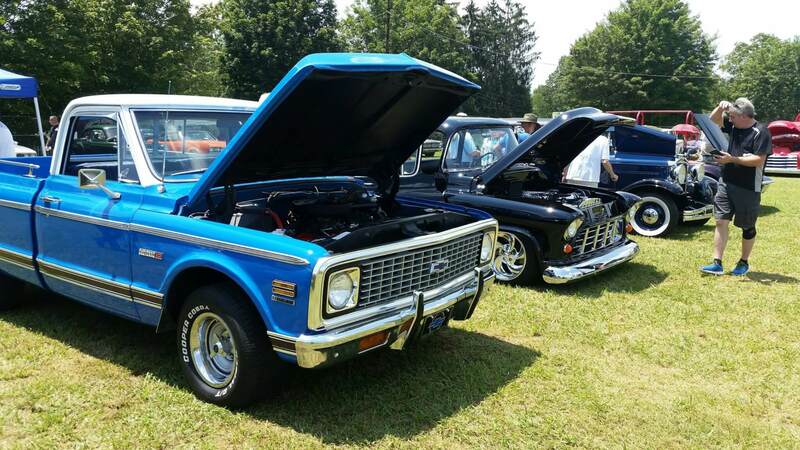 It was purchased new in January of ’72 at his local Chevy dealership and he had all the documentation including original build sheet, inspection sheet, bill of sale, owner’s manual with Protect-O-Plate and emissions manual. He also had all the “My Friends” magazines for every month in 1972. These were mailed out from Chevrolet when a customer purchased a new vehicle and he had saved them as well. This truck is an all original, matching numbers truck and I am enjoying it very much going to shows and cruise-ins. I hope to one day pass it down to my son to enjoy as well. I have included a picture of it with my 2015 Midnight truck. Since I didn’t get a black ’72 I decided to get a new version. Our family loves our Chevys.